I love Valentine’s Day – perhaps as much as Christmas and my birthday. So decorating for this holiday is such a joy. Even though this year’s Valentine’s will be a bit different – I will be going in for some eye surgery and I’ll be a bit blurry and bloodshot and seeing double – I will still have a great time. Good thing I love my husband because I’ll be seeing two of him! 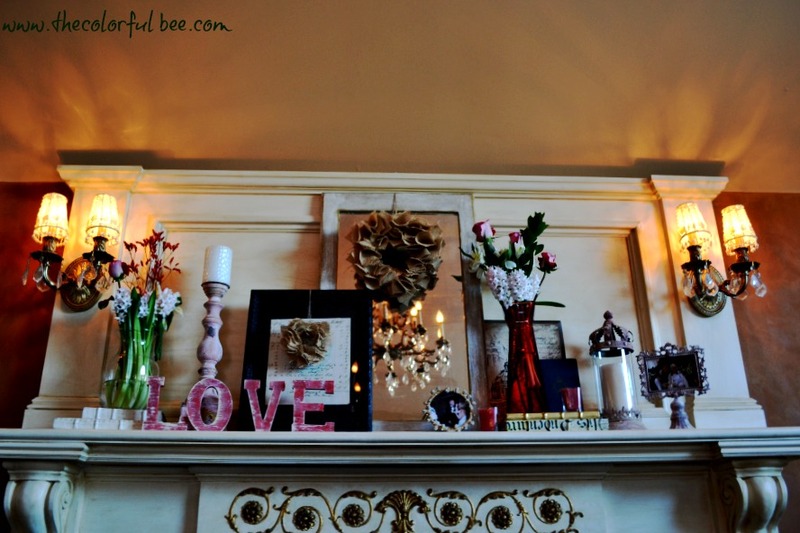 I had a little trouble with decorating this mantle and I’ll tell you why. 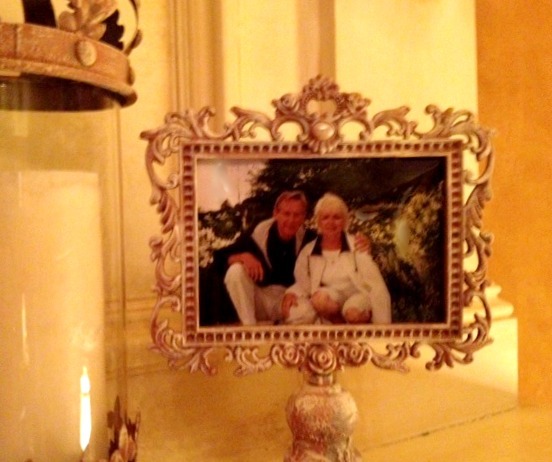 I started with a smaller center piece – a lovely shabby chic mirror that I had bought about 30 years ago in Laguna Beach CA. When you get that center right – the rest is a piece of cake. So, I added some artwork on either side of the mirror – an antique framed “bill” from England on the left and in front of the mirror…and another antique print on the right side and in back of the mirror. This helped to widen the grouping. 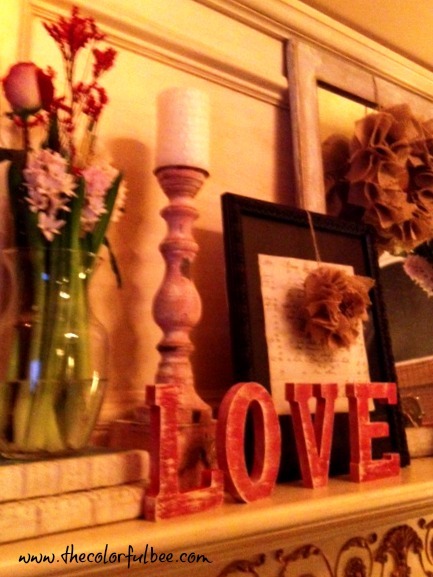 I made some burlap heart wreaths to hang over the mirror and the antique bill – to give some extra texture. I added painted “LOVE” letters, a painted candlestick (used some Annie Sloan Chalk paint), some books and florals as well. I added more books, florals and a re-painted lantern and frame (the lantern was a dull gray and the frame – a dark green). Much better in pink! Used some Annie Sloan Chalk Paint – Scandinavian Pink with a dusting of Old White. 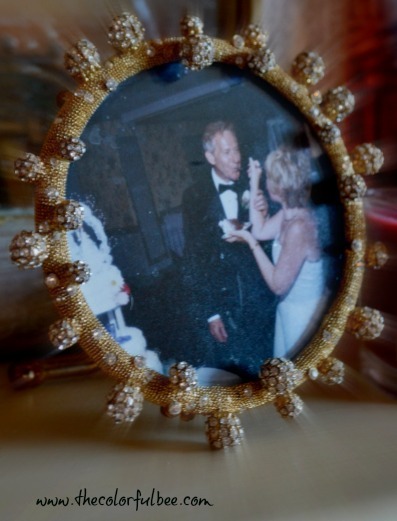 I also added of my favorite pictures of us on our wedding day – when I was feeding him the wedding cake. Little did my husband know that he would be the one doing all the cooking and feeding me now that he’s retired. The tables have certainly changed since that day! I hope that everyone has a great day! 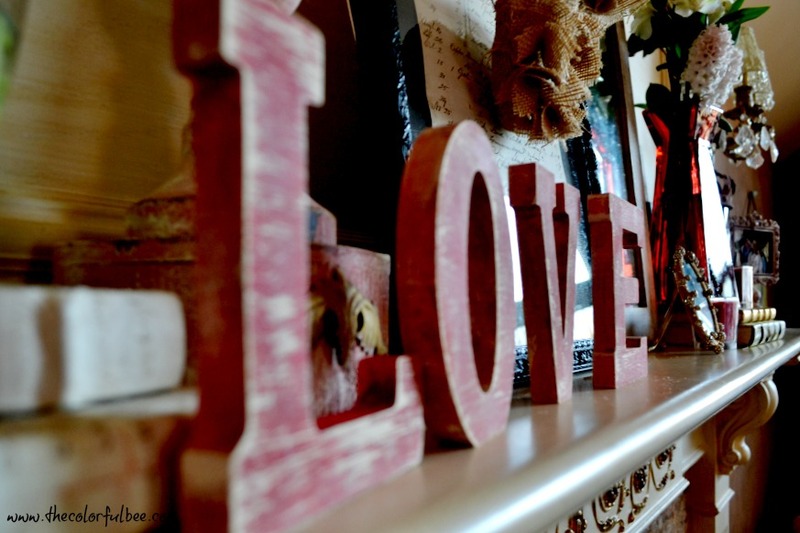 Do you decorate for Valentine’s? Let me know in the comments below! 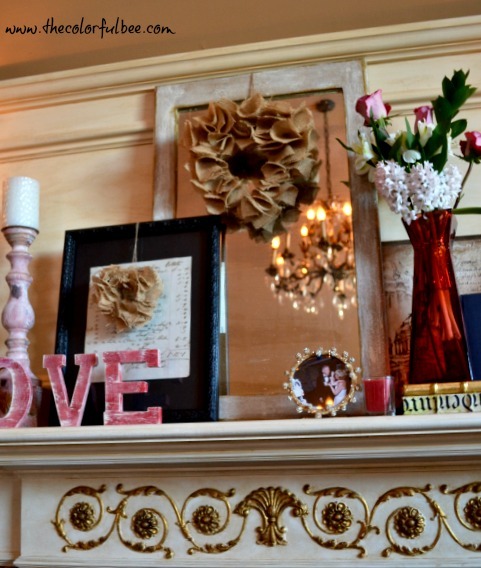 This entry was posted in Annie Sloan's chalk paint, Paint and tagged decorating a mantle for Valentine's Day, making a burlap wreath, painting accessories for your mantle, romantic decorating. Bookmark the permalink. 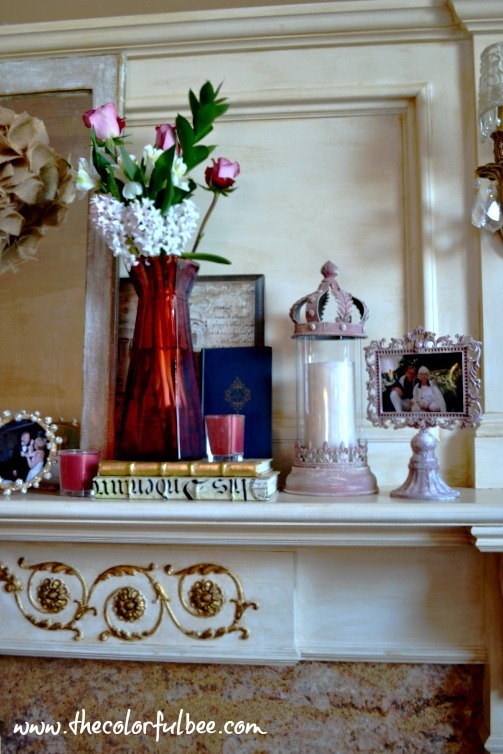 I adore it when others get as excited as I do about changing things up with the seasons and a mantel is the perfect place to do this. Yours is over the top. 😀 Thanks for sharing. Thanks – I love to change things up all the time. 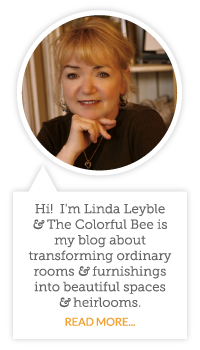 Trouble is – now I have so much “stuff” and I have to figure out where to store it! Thanks for commenting!